I recently tried out richcopy - it's basically a GUI for robocopy written by a guy from Microsoft. The program interface looks simple enough - but I couldnt' get it to work on Windows 10. So I'm making myself a cheatsheet so I can just paste to the command line. 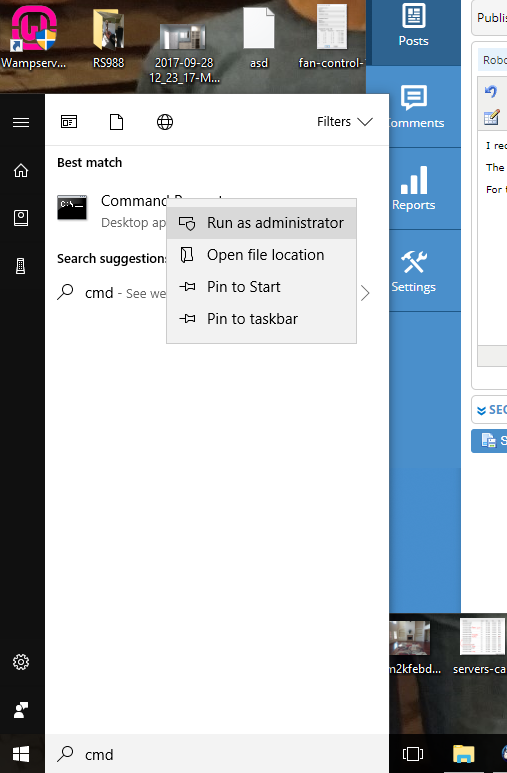 For those newbies out there - if you want to access the command line in windows - go to Start menu - type cmd and then be sure to run as administrator. Once there - you can use robocopy which is built into windows. If you don't have it on your machine - you can google it and install it. The basics of Robocopy is to transfer files - but what's nice is you can copy a file without changing the creation date which it typical on a copy as you are technically creating a new file from the other. /DCOPY:T - COPY Directory Timestamps. (this one was important as I was copying from my android to my pc. If you just move from within window - your creation dates remain in tact.